Facebook is introducing a human-curated list of Featured Events. The new Facebook feature will be currently limited to iOS users in the US and will be available specifically in 10 cities. Additionally, Facebook will start offering an inbuilt slideshow movie-maker option to its users. TechCrunch reports that the new Featured Events will appear on top of the list of upcoming meetings. Notably,Facebook’s Events has been available to users since long and is reportedly used by roughly 550 million users each month. The feature previously recommended Events to users based on their interests as well as friends, but now with Featured Events, Facebook is using humans to curate Events recommendations. The report says Facebook’s curators will scan through various things such as “city’s top art, entertainment, family, festival, fitness, food and drink, learning, community, music and sports events.” It will then recommend events to Facebook users, something that also depends on the foot fall the venue can handle. The new Featured Events will be available to users in Boston, Chicago, Dallas, Houston, Los Angeles, Miami, New York City, San Francisco, Seattle, and Washington. The report however adds that the feature will roll out in more cities soon. Koolwal added that Facebook’s Featured Events will offer users more time for engagement with the upcoming events. “Enough time to see what the Featured Events are, reach out to friends, and see if they want to go,” he added. “What we do is have a team of people who are basically looking at events on Facebook that have broad appeal, that a lot of people could go to, and they’re highlighting ones they think will be good to list out,” said Koolwal. As of now, there is no word when the feature will be available to Android users or will be visible to more users. The social platform is also steadily rolling out a new automatic movie-maker feature called Slideshow. Notably, the feature was originally part of the Facebook’s standalone Moments app for privately sharing images with friends and family. Facebook has also detailed steps (via Pocket-Lint) how users can experience the new Slideshow feature and adds that if users have taken over five photos or videos in a day, Facebook will start showing a preview of a pre-made slideshow at the top of the user News Feed. Users can customise the slideshows by adding or removing images or videos. Facebook will be offering 10 themes with visuals as well as music. Currently, Facebook is offering a few themes to choose from including Inspired, Nostalgic, Playful, Night Out, Birthday, Epic, Thankful, Tropical, Bollywood, and Amped. 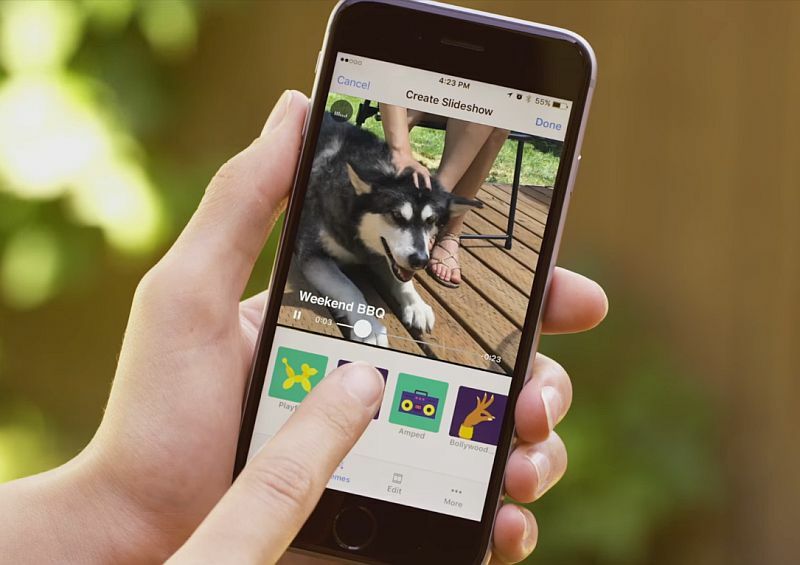 By introducing the automatic movie-maker feature, Facebook’s Slideshow has gone in head-to-head competition with other apps like Google Photos, which has the ‘Assistant’ feature performing similar functions, and the iOS 10’s Photos app which will offer Memories feature. The feature will be currently available to users on iPhone only. There is no word when the feature will be available to Android users.